ChyronHego’s Director of Sports Analysis, Bradley Wasilition, introduces and demonstrates the Sports FX Engine, the multi-sport, multi-revenue-generating sports graphics solution. Learn how the Sports FX Engine combines the same ChyronHego sports graphics applications that are widely used throughout professional broadcast sports, and makes them available to your college’s athletic production department. Watch as we demonstrate the Paint telestrator, Virtual Placement ad insertion, and Virtual 1st Down & Distance. 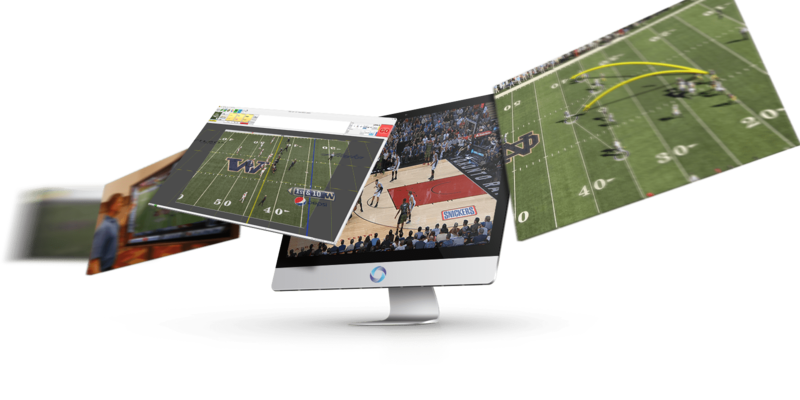 Learn how you can secure your in-person or online demo of the Sports FX Engine. Intended for US-based college and university live sports production and designed with revenue generation in mind, the Sports FX Engine hosts multiple graphics applications, including the Paint telestrator, Virtual Placement ad insertion, and Virtual 1st Down & Distance. Each application is designed to dramatically enhance in-venue fan engagement while generating multiple sources of sponsorship revenue during live production and replays. Are you ready to start your Engines? Contact us today and schedule your demo!